With the recent torrential rains hitting the metro hard, Wee Nam Kee Philippines joins in and gives the affected families a helping hand. Dine at Wee Nam Kee on Monday, August 13, 2012 and as stated 100% of net proceeds will be given to The Philippine Red Cross, to aid them in their efforts to give relief to our fellow countrymen. 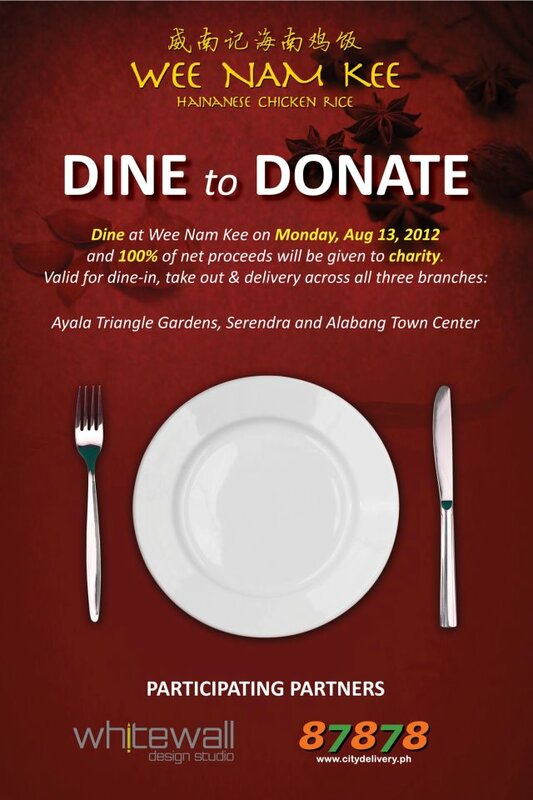 This one day charity event is valid for dine-in, take out and delivery. That includes delivery by 87878 or City Delivery. Let us join hands and make this event a success and give our affected brothers and sisters, hope in these every challenging times. Visit www.citydelivery.ph for delivery and https://www.facebook.com/WeeNamKeePH for more info.